What do my customers want? This is a repeating question every marketer asks. Facing a tech-savvy, multi-channel and demanding customer base, marketers struggle to measure the performance of each content, offer, or interaction. As consumers are allocating less attention due to ad clutter, distrust, and channel proliferation, brands need to enhance customer experiences on their sites. That’s why we are introducing Real-Time Interaction Management, an integrated web analytics and workflow solution that helps deliver personalized and contextually relevant interactions based on real-time data, driving revenue and loyalty. Let’s dive into the features and capabilities of our much-anticipated product, Real-Time Interaction Management. 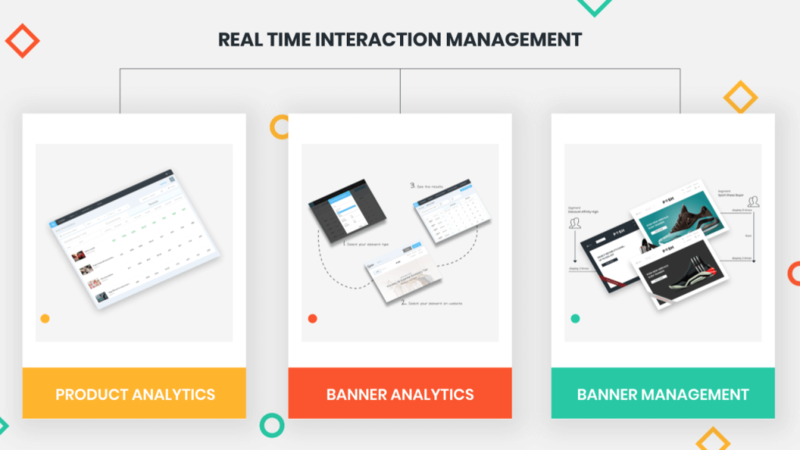 Real Time Interaction Management (RTIM) is an integrated website analytics and workflow solution that helps deliver personalized and contextually relevant interactions based on real-time data, driving revenue and loyalty. In the progressively increasing business environment, billions of dollars are spent on marketing and advertising each year. Therefore, besides historical data, real-time analytics has become a foundation for marketers to gain business insights for smarter decision making. Product Analytics gives you an overview of how your store performs while providing in-depth product metrics in real time. Observe each product’s impressions, conversion rate, basket count, basket rate, purchase amount and more for the last 30 days. Easily filter data with respect to device type and identify high performing products. Access each metric and source such as add-to-cart rate, left-in-cart rate and conversions rate while getting an overview of top 20 best performing products at a quick glance. To be able to understand how your visitors find your products, you can filter by the source to view whether your products are receiving traffic from social media, ads, on-site or search engines. Banner areas on your website are the most popular spots for new visitors to access your products and promotions. As the attention span of customers decreases, understanding how your banners are performing and how your customers are interacting with them gains importance more than ever. Banner Analytics gives you access to real time conversion and revenue metrics for each banner on your site, helping you make data-driven and timely decisions on the fly. Access real-time insights on your banners, sliders, or buttons and monitor metrics like click-through-rates, sales from clicks, revenue from clicks, conversion rates and revenue per thousand impressions (RPM) in real time to understand how users are interacting with them without leaving the Insider platform. Track customer patterns, trends and behaviors as they interact with your banners and optimize their experience in real time, driving conversions. Observe how your banners, sliders and buttons perform in real time to make data-driven decisions proactively with Banner Analytics and Product Analytics and take action to deliver more relevant experiences to each segment with Banner Management. Wondering what’s Banner Management? Keep reading on! The continual rise of banner space usages on the web as an attempt to build meaningful conversations for brands to maximize their online revenues is becoming more vital than ever. To help increase the value of your banner areas, we’ve built the most comprehensive banner management tool. Banner Management is an easy-to-use interaction management tool helping you showcase the most relevant banners to the right audiences each time they visit your site. 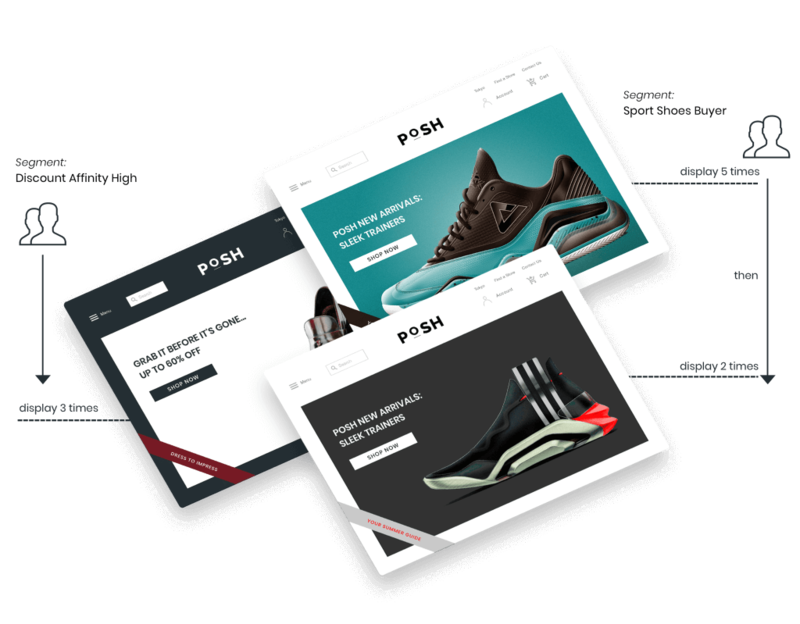 Show the most relevant banner showcasing products, content or offers to each individual as soon as they land on your site to lift click-through-rates (CTR). With the drag and drop option, it’s easier than ever to change the order of banners to ensure most relevant banners are shown to your visitors. Banner Management provides a new revenue model and an automated workflow for companies leasing the banner areas on their websites. Lease a single banner area to multiple brands using prioritization and frequency capping to maximize your advertising revenue. With Banner Management, display various banners with different frequency caps to your visitors in the acquisition stage. 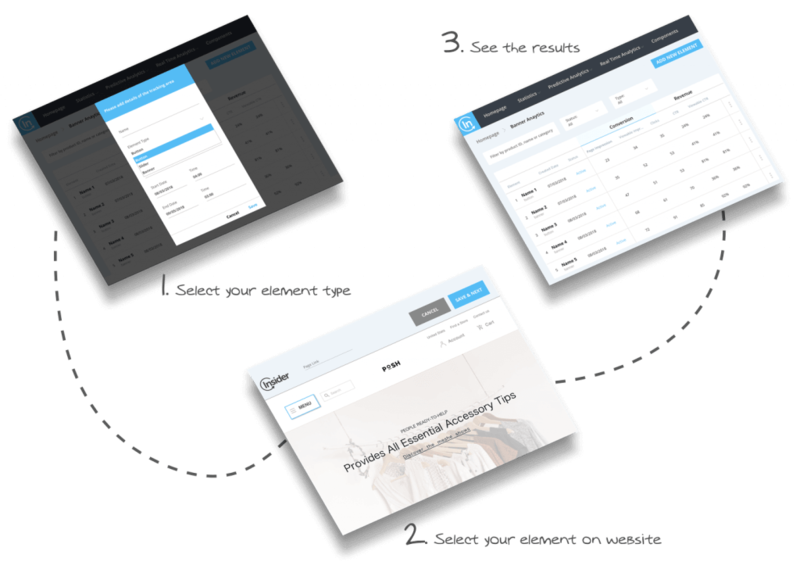 With the personalized banner strategies you created in the acquisition stage, it is even easier to activate your customers in the funnel by show different personalized banners on each visit based on their actions. As your customers demand personalized and smoother experiences in real time, it is important to deliver impactful, contextually relevant and timely interactions to deserve their loyalty. By enabling Real Time Interaction Management (RTIM) on your website, you can take data-driven actions in real time to continually optimize customer experiences.